Carla L. Peck is Professor of Social Studies Education in the Department of Elementary Education. 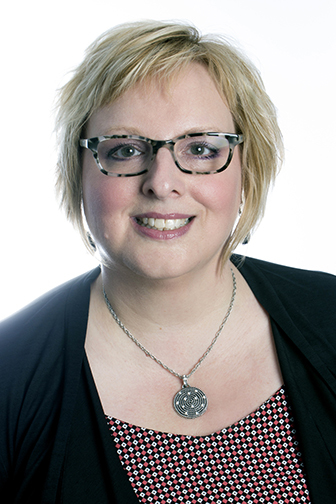 Carla joined the Faculty of Education at the University of Alberta in 2007. Her program of research has two main foci: The first seeks to map the qualitatively different ways that teachers’ and students’ understand key democratic concepts such as diversity, and citizenship. The second area of her research is on students’ historical understandings, and in particular, the relationship between students’ ethnic identities and their understandings of history. Before moving west, Carla taught elementary school in New Brunswick. Two complementary theoretical frameworks and one general principle guide my research. The first theoretical framework draws on constructivist learning theory, which holds that all students come to every learning situation with a store of prior knowledge. Some of this prior knowledge might be accurate but, it is equally true that students may have (and tenaciously hold onto) naïve conceptions or misunderstandings about various concepts as well (Driver & Easley, 1978). Constructivist research aims to discover and understand the nature of students’ prior conceptions in an effort to better shape curricula and refine teaching approaches, and ultimately, increase a student’s ability to incorporate new and more complex knowledge into that which they already know (Hughes & Sears, 2004). As Gardner (2006) notes, “if one wants to educate for genuine understanding, then, it is important to identify these early representations, appreciate their power, and confront them directly and repeatedly” (p. 77). The second theoretical framework informing my research draws on the tradition of socio-cultural studies in education. The emphasis here is on the need to understand the social, cultural and political positions from which students approach learning (Barton, 2001; Epstein, 1997; Nieto, 1999), and has strong links to my social justice teaching orientation. Knowing what frameworks students use to make sense of what they are learning in social studies is important, particularly for teachers working in schools within a multicultural society: “By understanding how young people from different racial or ethnic groups interpret history and contemporary society…teachers and policymakers can make more informed decisions about what and how to teach social studies subjects to diverse groups of students” (Epstein, 2001, p. 42). I believe that research using a combination of these two frameworks will result in a richer understanding of the variety of prior conceptions influencing students’ understanding of history and citizenship. The general principle that underpins my research is the importance of intertwining my research interests with my teaching and professional work. I feel strongly that the work I do at the university must be applicable to teachers and students, thus my commitment to professional development projects, workshops and publishing that communicate findings from my own and other research in a way that is both informative and useable by teachers (and teacher education students). Similarly, my work with teachers and students gives rise to other questions, which inevitably find their way into my research programmes. My first area of research is the teaching and learning of history, with a specific focus on the relationship between students’ ethnic identities and their historical understandings and uses of the past. This work is informed by theory from both sociocultural studies in history education and research on ethnic identity. My second area of research is citizenship education, with a focus on students’ conceptions of democratic concepts. My major projects include research into high school students’ conceptions of democratic participation, elementary students’ and teachers’ conceptions of ethnic diversity. I am currently a co-investigator on a SSHRC-funded project entitled, Democracy in Transition: Strengthening how citizenship is learned and practiced in "the city”, led by Dr. Lynette Shultz (UAlberta). The foundation of my teaching philosophy is my commitment to teach for social justice. For me, social justice is about working to make our local and global societies better, through education about, and actions on, injustices and inequities around us. The late historian, Howard Zinn (2002) wrote, “I wanted students to leave my classes not just better informed, but more prepared to relinquish the safety of silence, more prepared to speak up, to act against injustice wherever they saw it. This, of course, was a recipe for trouble.” My undergraduate and graduate teaching is not only guided by this sentiment, but is also infused with discussions and deliberations about respecting diversity, understanding multiple perspectives, and exploring how to work to make our world - including our classrooms - more socially just by identifying and challenging all forms of oppression. These are qualities that I work at everyday, and that I hope to instil in my students. This resource was created to support teaching about religion in K-12 education, and is based on research with social studies teachers, led by Dr. Margie Patrick (The King's University, Edmonton). Based on a pan-Canadian study of teachers' and students' understandings of ethnic diversity, this website aims to support teachers and other educators who are looking for information and teaching supports to help them teach for and about diversity in their classrooms and schools. Dr. Carla Peck recently returned from New York City, where she co-organized and co-chaired a conference on teaching difficult histories. Working with Hunter College’s Dr. Terrie Epstein, the event aimed to develop a greater understanding of the complex and timely subject within global perspectives. Read more. Dr. Peck has proven herself as an outstanding model of the teaching profession and has been recognized for her hard work and commitment to excellence. Read more.